Leading Manufacturer of orbital shaker, incubator shaker, water bath shakers and sieve shaker from Chennai. Our organization has successfully expanded its business in market owing to the offered elevated quality array of Orbital Shaker. The offered orbital shaker is used in chemistry and biology laboratories to stir liquids. We develop this orbital shaker utilizing high grade material and advance technology by our skilled professionals. Our orbital shaker is inspected from our side in order to supply a defect free range in the market. In tune with clients' variegated industrial requirements, we are exclusively engaged in manufacturing, and supplying Incubator Shaker. The given incubator shakers are used for growth of just about any kind of cell including bacterial cultures & tissue cultures. These incubator shakers are precisely developed from the best quality material & leading techniques in adherence with the set norms of the industry. 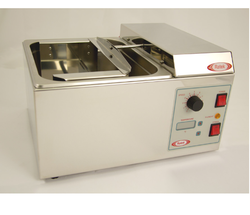 We provide these incubator shakers with varied specifications at market leading rates. 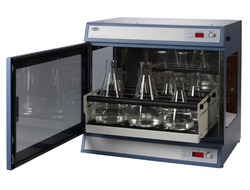 We hold specialization in providing a broad range of Water Bath Shakers. The offered bath shaker is developed from the high-quality material & modern techniques in compliance with the industry norms. We offer this bath shaker in different specifications, as per the ever-evolving requirements of customers. In addition, our bath shaker is checked by our quality experts on well-defined parameters, in order to deliver a flawless range from our side. We use the best available technology, raw materials and are offering a collection of quality constructed Sieve Shaker.